"[Russia] has consistently violated the convention for the suppression of the financing of terrorism." In March 2017, the International Court of Justice in The Hague (Netherlands) will open hearings on Ukraine's lawsuit against Russia over the acts of terrorism and discrimination in the course of illegal aggression against Ukraine. 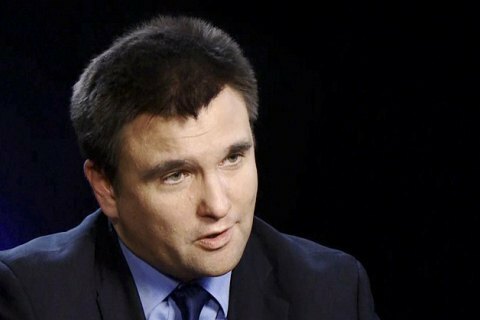 "In March, the International Court of the United Nations will begin hearings on the motion that we have filed against Russia, as it has consistently violated the convention for the suppression of the financing of terrorism and the convention on the elimination of all forms of racial discrimination," Ukrainian Foreign Minister Pavlo Klimkin said during a TV appearance on Sunday. On 16 January, Ukraine filed a lawsuit against Russia ith the International Court of Justice in The Hague. Klimkin said Ukraine would be complementing the motion with new facts of human rights violations.